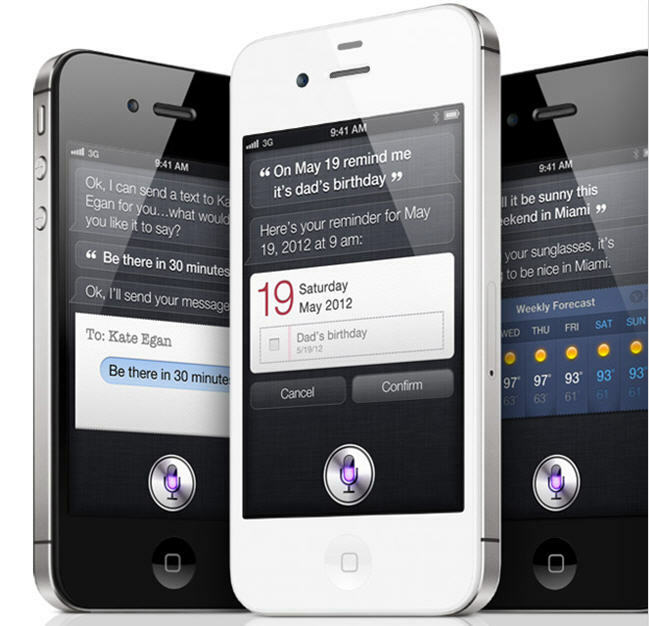 Unless you are living under a rock somewhere (and if you are, you wouldn’t be reading this blog anyway), you must have heard about Apple’s new iPhone 4S featuring Siri. Just in case you never turn on the TV or browse the internet, I’ll give you a brief overview. Siri is basically a personal assistant that lives in your iPhone. You think I’m joking, but essentially, that is how she works. You ask her a series of questions, and she talks back like she is a living, breathing person. WEIRD, I know. Some things you can ask her are “What is my name?” or “Where is the closest Walmart?” and she will find the answer for you. She can write text messages for you, start the right playlist, sent a reminder for a task you have coming up and so much more. Really, the possibilities are endless! But what I think is most funny about it is watching other people talk to Siri. For instance, I was watching PoppaNut play with his new phone, and it was simply hysterical. He had Siri running around like a busy bee, answering all his requests. Plus, he makes his Siri call him “Italian Stallion” at all times. And that’s life in a nutshell … that silly Siri is quiet clever. I think it might be love!